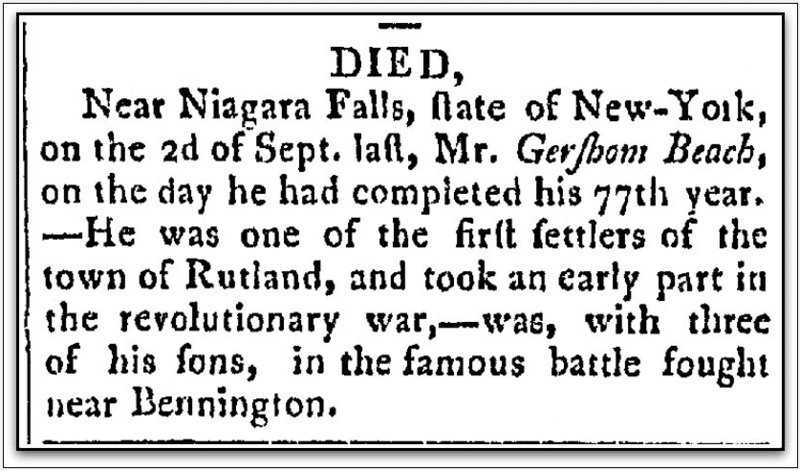 Gershom Beach, a blacksmith in Rutland, Vermont, was 77 when he passed away on 2 September 1805, according to his obituary. Born 24 September 1728 in Cheshire, Connecticut, Gershom Beach was credited as being one of the original settlers of Rutland, Vermont. 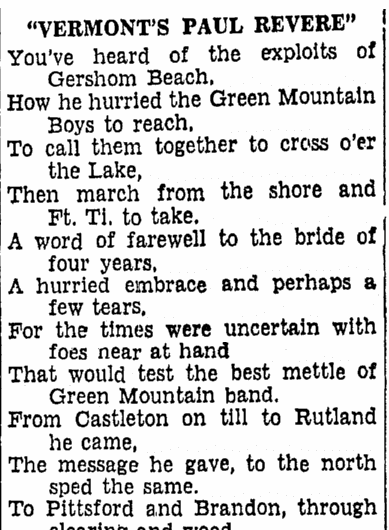 Beach is most noted for his Paul Revere-style message delivery for Colonel Ethan Allen at the battle for Fort Ticonderoga during the Revolutionary War, described in an article published by the Rockford Republic (Rockford, Illinois), 14 March 1930, page 6. His life proved one man can make a difference. 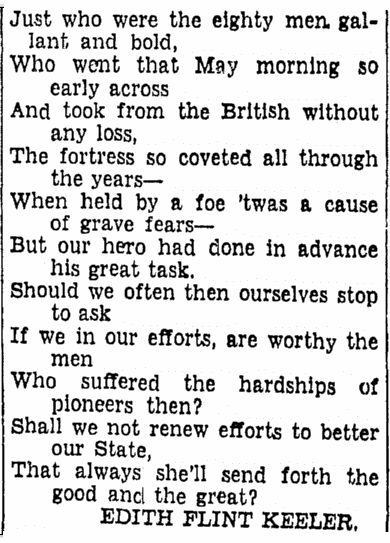 Beach’s heroic ride was detailed in a 1939 poem “Vermont’s Paul Revere” that describes this major turning point in the Revolutionary War. Genealogy Tip: Gershom Beach’s brief obituary is just a few lines long, but with a small amount of digging in GenealogyBank you can find the rest of Beach’s interesting life story.